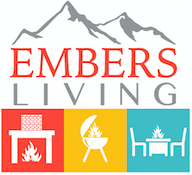 One of the leaders in fireplaces is Dimplex and Embers Living carries a wide variety of Dimplex products. With electric fireplaces that come in various sizes and all styles to fit any home, you are sure to get the finest quality in an electric fireplace from Dimplex. Dimplex has linear fireplaces Like the Ignight XL series that offer a sleek and modern look or more traditional models that offer the look and feel of an old-time fireplace. Check out the selection from Dimplex and find the fireplace that is right for you today!